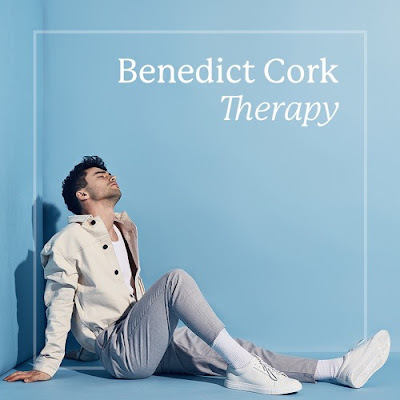 London-based singer-songwriter Benedict Cork is back with a stunning new single titled Therapy, which follows the release of his debut solo EP Piano Tapes which was recorded live at Red Gate Recorders last September. I am loving this smooth, delicate vocals over this piano-based ballad that floods me with feelings. Benedict is definitely a master at crafting powerful and emotional songs and Therapy is a prime example of it. Benedict is a great storyteller and we can feel the pain of his broken heart over the lush piano keys, haunting vocals and overall melancholic atmosphere. As a sucker for sad songs I am simply loving this one and I've got it on repeat. Check it out below! Last summer I began a course of therapy that has honestly been life changing for me. There's an anxiety that I've always experienced since being a kid that started affecting my day to day life and it all got a little bit overwhelming. Like many young men, I'd never really spoken about my mental health. I find it much easier to write my thoughts and emotions down in song than to discuss them with the people I love. This song is my way of acknowledging to myself that I was a little afraid of what was going on inside my head, and admitting that's it ok to not be ok. I really hope this song might help somebody who felt as lost as I did.